Guest post by James Pryor, ASH,Inc. What DOES A,B,C.D have to do with making parts? 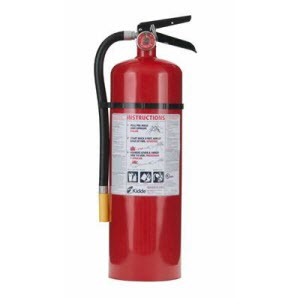 The answer is Fire Extinguishers and the general principles of fire extinguisher use. In our world of production, that red bottle hanging on a post does not command a lot of attention. Hanging up, not on the floor. Inspected too. Do your folks even know how to use it? Has anyone ever done it for practice or training or demonstration purposes? If not, how would they know? An educational program in part means training your employees in the location and use of the fire extinguishers. In fact this training is required upon initial hiring and annually. Like all OSHA Training requirements, the training needs to be documented. No one is ever really prepared for a workplace fire- but annual training on the tools available is a key your people being able to safely deal with the situation. And perhaps to save lives. Fire Extinguisher 101 for training info. This entry was posted on Wednesday, February 9th, 2011 at 4:59 am and is filed under Shop Floor. You can follow any responses to this entry through the RSS 2.0 feed. You can leave a response, or trackback from your own site. Great advice. I’ve seen one too many fire extinguishers sitting on the floor in various shops. Thanks! Sitting on the floor makes them a potential tripping or strike the foot hazard as well. Thanks for advancing the conversation!